1) Both great and scalloped hammerheads are considered Endangered by the IUCN Shark Specialist Group. This is an independent and apolitical assessment made by expert scientists from around the world. 3) They are declining in population throughout their global range. Scientists have noted severe population declines of hammerhead sharks in the Northwest Atlantic, in the Mediterranean Sea, in the Caribbean sea, and in Australia and South Africa. 4) Both species are highly migratory, moving through multiple political jurisdictions. Therefore, management at the state level is inadequate. 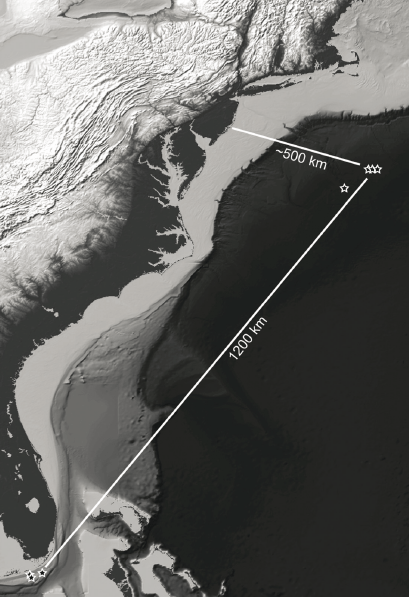 hammerhead shark in the Northwest Atlantic”, showing the long distance migration of a satellite tagged great hammerhead shark. 5) Current regulations are fragmented and therefore limited in effectiveness. 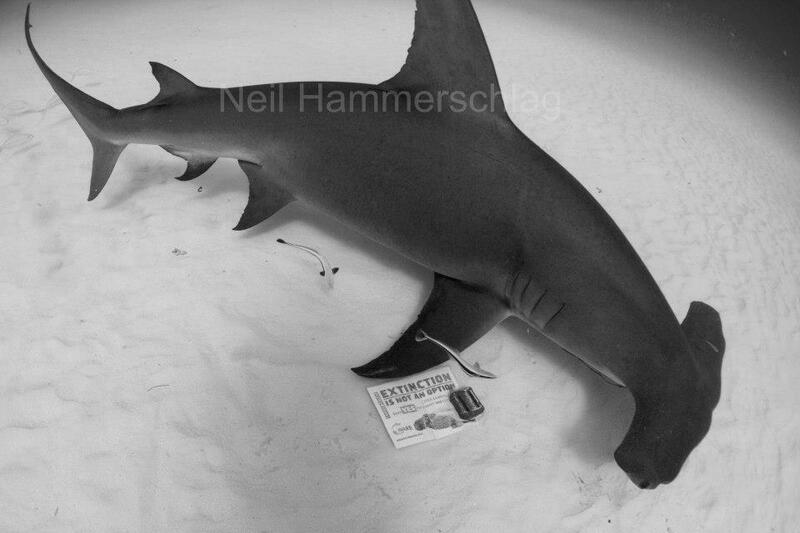 For example, although it is illegal to catch great, scalloped, or smooth hammerheads within Florida state waters, members of my lab have observed commercial fishers catching hammerheads immediately adjacent to (but outside of) state waters. 6) Scalloped hammerhead sharks are especially vulnerable to overfishing because of their mating aggregations. These aggregations are predictable in both time and space, allowing fishers to catch many at once. 7) Their large fins are particularly valuable in the global shark fin soup trade. 8 ) Many countries do not report their catch at the species level, complicating data analysis. 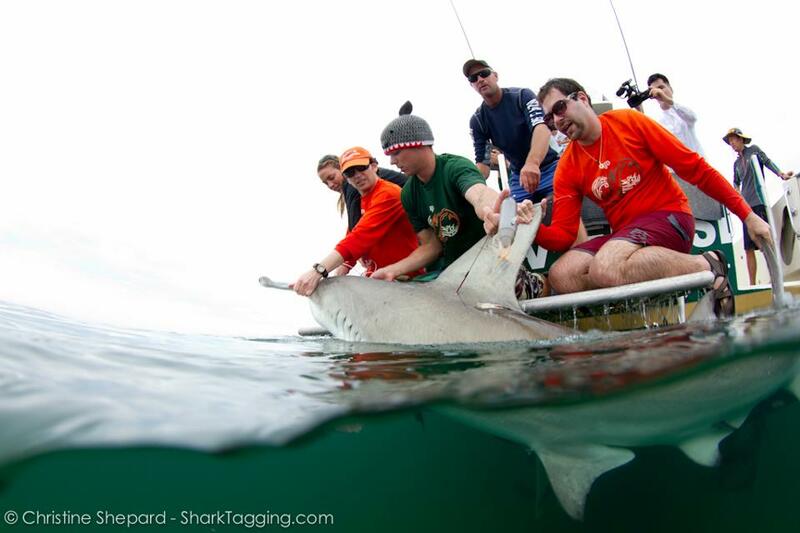 Some only report their catch as “hammerhead”, while still others report catching “shark”. Without accurate and species-specific catch data, it is difficult to tell the status of a population. In cases like this, a precautionary approach seems appropriate. 10) This stress reaction leads to extremely high bycatch mortality- approximately 90% of hammerhead sharks that are caught as bycatch and released are estimated to not survive the capture. Please consider submitting a public comment for one or both species following the instructions above, and please let me know if you’ve done so by commenting on this blog post. As always, please let me know if you have any questions, and I’ll keep you posted as this important story progresses. For more information, please see the official Federal Register proposed rules for great hammerheads and scalloped hammerheads. On stifling scientific curiosity, in the most egregious way possible. David, has your team noticed some mortality of your tagged hammerhead after tagging, if yes, what is the mortality rate and after how long after release? Is there any point in writing if you’re not an american? I’m belgian, and I don’t live in the US. While I agree with considering scalloped and great hammerheads for ESA protection, I think the real value here is “goosing” NMFS into enacting some more aggressive management actions for these species. Sandbar, sand tiger, and Atlantic white sharks are rebounding under fishery management actions (prohibited status for sand tigers and white sharks, a very limited fishery for sandbars) without the need for ESA listing. 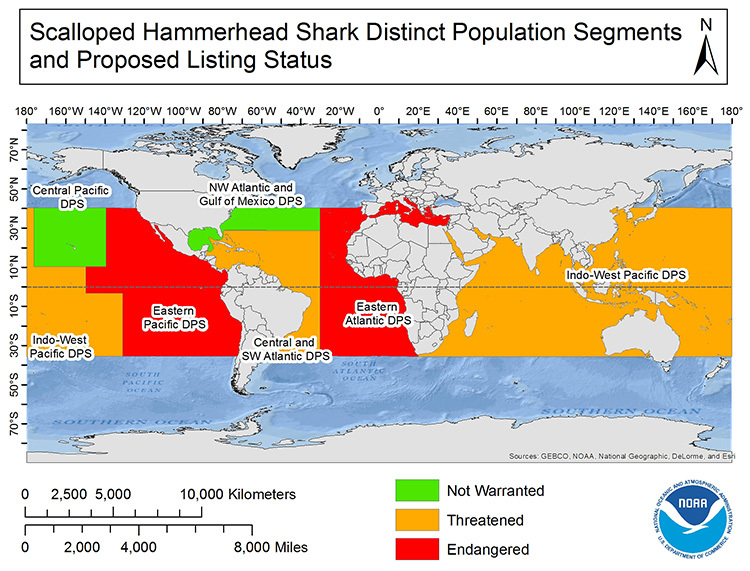 NMFS is just now getting around to working on hammerheads and is proposing very low quotas or possible prohibited status, motivated in no small part by the threat of listing. An ESA listing is not something to be taken lightly and has serious implications for research and coastal development as well as the fishery. I personally would rather see if future management actions are sufficient before bringing in the “nuclear option” of the ESA. I agree that more aggressive management is needed, and that it could potentially be accomplished (but has not yet been) via existing fisheries regulations. ESA is definitely a last resort. Thanks again for providing such clear instructions in navigating online petitions, comments, etc. I’ve submitted comments on both petitions and I’m glad to know I’m doing something that may actually be heard.